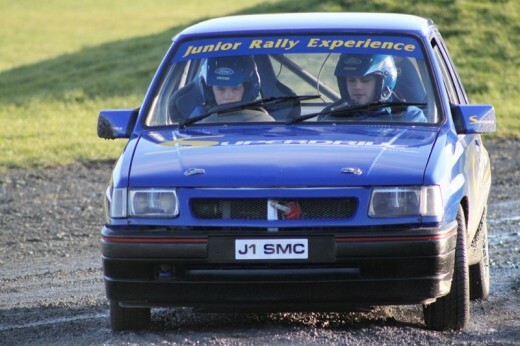 The Junior Rally experience is designed to teach driving and basic rally competition skills to young people, who are not of driving age. This unique experience give the young people from the age of 13 to 17 to drive rally and experience the thrill of rallying. Itinerary includes exciting rally driving, high speed passenger demo run and debriefing with analysis and session completion certificate. Junior Rally Now kids under the age of 18 years can take the wheel and start rallying! Perfect for the age of 13 - 17 years. This is perfect for anybody who is interested in starting rallying. 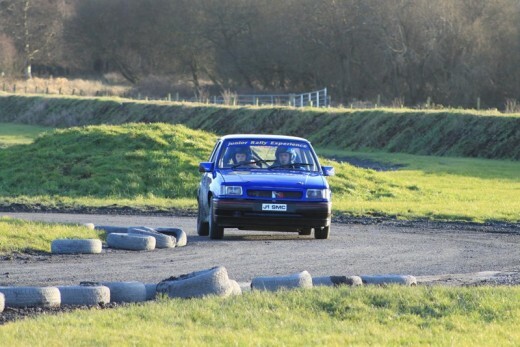 With a fully qualified instructor You will learn the basics of rallying with a fully qualified instructor. Start your rallying today! 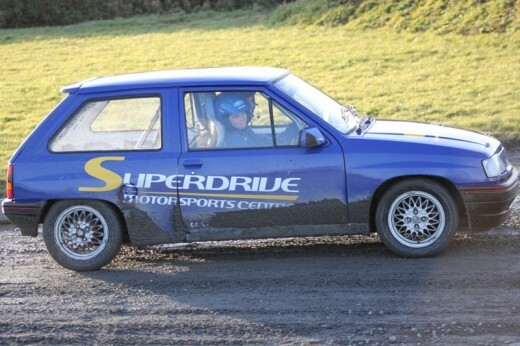 This is perfect for anybody who enjoys rallying and wants to learn more of driving. 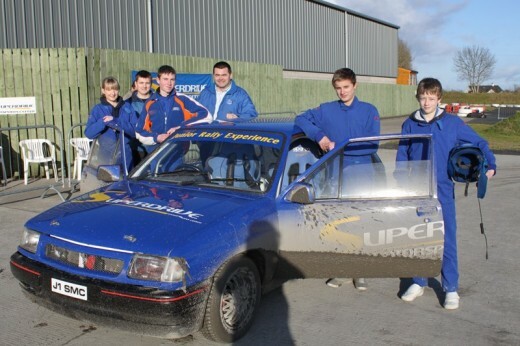 The junior rally driving experience is designed for young people from age 13-17 years. This unique rally experience does not require a driver’s license; you will learn the basic driving rally skills. Learn how to do sharp turns, hand and get the proper education from a fully qualified instructor. After this course you will feel much more confident with your driving. When this course is finished you can upgrade to the Junior Rally Level Two for more skills in rallying. - All first time Junior Rally participants must do at least one session in Level One for assessment purposes. - Junior Rally Log Book provided. - Classroom based safety and instructional briefing. - 3 stages driving plus high speed demo run. - Debriefing, driver analysis and session completion certificate. - After four sessions of Level One or following a recommendation for an upgrade to Level Two, drivers will receive a Silver Level One certificate. This experience is designed for participants from 13 to 17 years of age., with a minimum height of 5 ft (about 152 cm). No previous experience necessary. Rally Driving may be cancelled or curtailed in extreme weather conditions, which would make driving at speed dangerous. Please call the centre if in any doubt. Your Junior Rally experience will last approximately 2-3 hours. This includes briefings, rally driving and certificate presentation. The itinerary mentioned above is valid for one participant only. Your experience will be one to one basis. Spectators are more than welcomed to attend at the location; however we encourage spectators to purchase additional vouchers to partake in this rally experience to maximise the fun. Wear thin, flat-soled shoes for your junior rally driving experience as the pedals may be close together. A helmet will be provided, but if you have your own you are welcome to bring it along. Any other special clothing will be provided by the Rally Driving Centre. The Junior Rally is available during selected weekdays and weekends throughout the year. Please note that weekend dates are particularly busy and should be booked at least 4 weeks in advance. I have the best mum ever! This was a really cool experience. The big changes that has been evolving in the sport of Rally, is within the cars. When the start of its professional and commercialisation of the sport, rally grew in popularity. When manufactures and sponsors entered making cars in rallies the sport became more popular and it started becoming more competitive between the brands instead. It was a competition between which car brand was the best. Newspaper from Date of Birth I didn't know you could find newspaper from that long ago. I just turned 60 years old and I got a news paper book for my birthday. but it does and now I can't stop looking it through! So thank you! Shawn K.
Do you need any help with this gift idea, Junior Rally Driving Experience?